When buying a new piece of manufacturing equipment from a distributor, the salesperson may know the technical ins and outs of the machine, but they’ve never used it day in and day out like the customer will. They often don’t fully grasp what it is like to work with that machine over the course of an entire shift. The fact that as a distributor Alliance uses the lasers it markets in its own shop giving it a higher level of understanding and credibility when it comes to end user needs. For custom applications, Alliance will even produce a sample of the component the customer wants to make in its own shop to fine tune the equipment and ensure it meets specifications. “We’re doing sample parts for people all the time just to make sure the application we’re recommending works for their needs,” Demakis says. That real-world knowledge also translates into better post-sales service for customers. If a laser welder breaks down anywhere in the country, Alliance’s experienced technicians can usually walk the customer through the troubleshooting process over the phone. For more involved repairs, the company dispatches one of its three dedicated service staff technicians to anywhere in the country and has the machine back up and running usually within 48 to 72 hours. “It’s our knowledge of our laser machines themselves as well as the fact we have dedicated staff on hand to be there for the customers in a time of need,” Demakis says of the company’s reputation for stellar service. Alliance Specialties and Laser Sales is the combination of two businesses that act as one entity, owned by partners John Demakis and Doug Niggemann. Alliance Specialties, the service side of the company, was founded in 1979 and acts as a shop for laser welding, laser engraving, mold polishing and mold repair. Over the years, Alliance has gained a reputation for being at the forefront of embracing new technology. Thirteen years ago, it became one of the first companies in the United States to offer laser welding for mold repair. 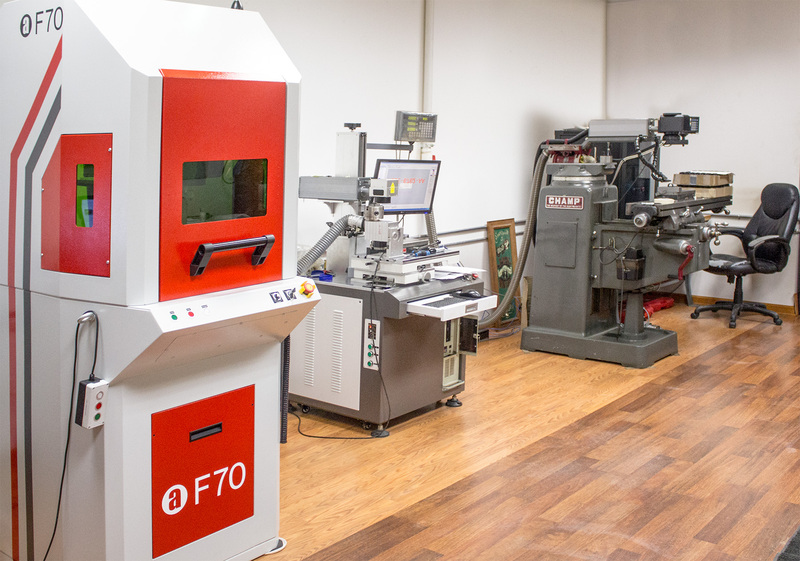 “We noticed a big trend in that direction and huge benefits of the technology, so we invested early and partnered with a company to bring laser welding machines into our portfolio of services,” Tony Demakis says. The advantages of laser welding were apparent from the start and Alliance soon realized its manufacturing clients would invest in the technology themselves. Not wanting to lose its place, Alliance began to think how it could carve out a niche in the laser welding market. Because it used the machines every day and knew the technology inside and out, the company realized it could offer its expertise as a seller of laser welding systems, leading it to found its second business, Alliance Laser Sales. Alliance turned to one of the best names in the industry and partnered with German manufacturer Vision Lasertechnik to become their exclusive distributor in the United States. Although it has expanded into sales, Alliance is at its core still a job shop. 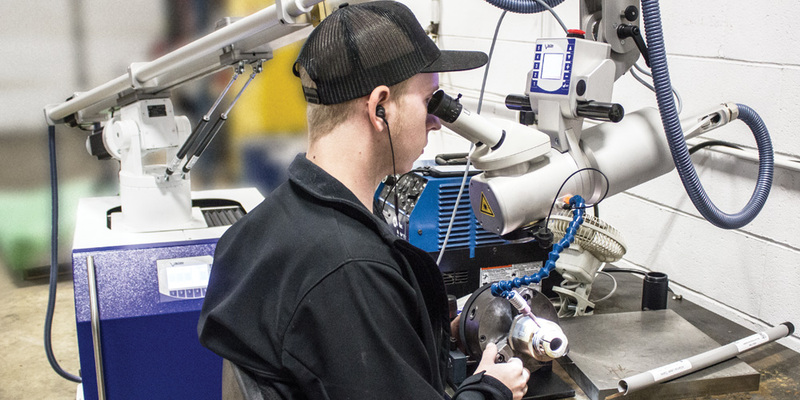 The company’s facility in Wauconda, Ill., employs five full-time laser welders, two TIG welders, three mold builders specializing in maintenance, four manifold cleaners and eight polishers. “We know mold making inside and out,” Demakis says. Alliance has traditionally helped in the service and production of components for plastic injection molding customers, but its entrance into laser welding and laser engraving more than a decade ago opened the company up to new markets. It now works with any kind of customer that needs engraving, from consumer devices and gun manufacturers to barcodes for medical products. The core of Alliance’s customer base can be found in Illinois and neighboring states, but the company also serves manufacturers across the country and even operates a satellite office in California. Since becoming the exclusive seller of Vision Lasertechnik machines in the United States, Alliance has sought the next major partnership that will spark another round of growth for the company. At this year’s Fabtech, Alliance Laser Sales will unveil its partnership with Laser S.O.S., a manufacturer of custom laser solutions. The company’s booth at the annual trade show will include a demonstration of a 1-kilowatt laser with a KUKA Robotics arm designed for industrial production welding applications, which highlights its next area of growth and expansion. The Laser S.O.S. 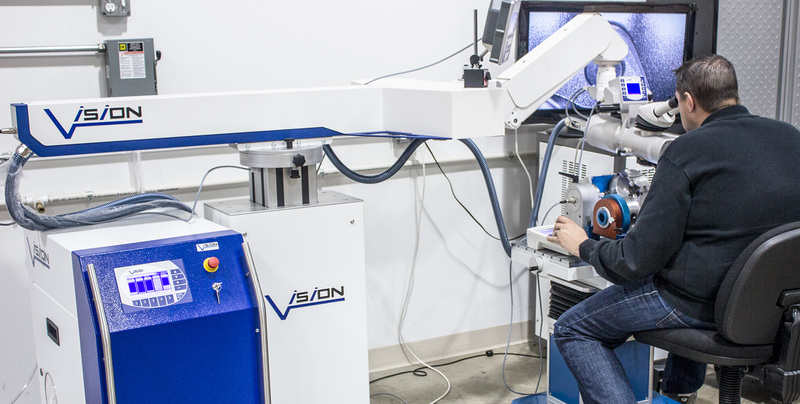 partnership offers something different than Vision Lasertechnik and will enable it to work with customers that need laser cutting, production laser welding and high-power laser welding solutions. Alliance already uses S.O.S. Lasers in its shops and will begin to sell the equipment in the United States starting in November 2017. “We’re taking it up a notch from mold building and standard laser welding to really anything that you may be needing an industrial laser application to accomplish,” Demakis says. As it develops partnerships such as the ones with Vision Lasertechnik and Laser S.O.S., Alliance continues to keep its customers’ needs at the forefront. The same is true when Alliance helps them select their equipment. Some distributors push their buyers toward Nd:YAG lasers, which require regular maintenance and adjustments, to increase their service calls business. Alliance, however, would rather have a satisfied customer than an ongoing service relationship. The company touts fiber laser machines, which have virtually no maintenance and are less likely to need annual adjustments. “We’re going the other direction and encouraging our customers to invest now in fiber technology because we want them to own a machine that’s going to be consistent for the complete life of the unit without continual costs associated,” Demakis says. This article was featured in the December 2017 Manufacturing Today Magazine. Click here to download the full version of the magazine.